What kind of coverage does my auto insurance policy provide? If you're at-fault in an auto accident, Liability Coverage provides you financial protection for your legal liability in the event you injure someone or damage someone else's property. Medical Payments Coverage helps pay your own, or your passenger's, medical bills as a result of an auto accident, regardless of fault. Uninsured Motorist Coverage protects you when the responsible party who is legally liable for the accident doesn't carry auto liability insurance and they've injured you or damaged your automobile. Some states also offer Underinsured Motorist Coverage. This coverage provides you protection in an accident if the responsible party injures you or damages your automobile but doesn't have enough insurance coverage to fully pay your medical bills or repair your car. Physical Damage Coverage is the portion of your policy that pays to have your vehicle repaired after an automobile collision or some other occurrence, such as theft, vandalism, glass breakage, wind, fire, hail or flood. Your automobile policy includes a section which shows you the amount of insurance you've purchased for each of the four main coverages of the policy called a Declarations Page. The amount listed on auto insurance Declaration as the Limit of Liability is the maximum amount the insurance company will pay if you are found legally responsible in the event of a loss. How much coverage do you need? Only you can answer that question based on your own unique financial situation. Want to learn more about these coverages and why you need them? Watch our video. 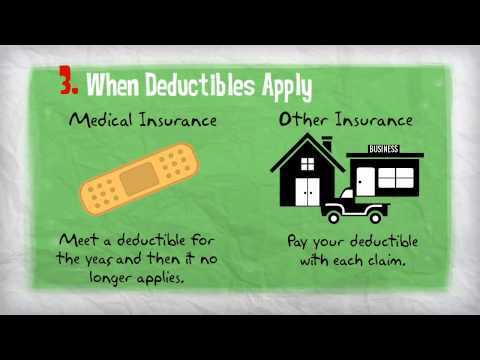 Deductibles are a vital component of any insurance policy, but they can be confusing. Simply put, the higher your deductible, the lower your insurance premium. This means you are assuming more of the risk yourself and therefore the insurance company can sell you the policy for less. You should choose the amount of coverage that best suits you by deciding how much you can afford to pay out of pocket in the event of a loss. 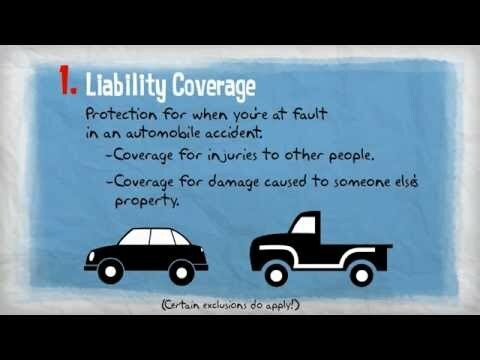 We recommend you watch our video to learn more about the variety of auto insurance limits and how they work. Nearly one-third of all vehicles on the road either have no insurance coverage or carry only the state-mandated minimums. UM, or Uninsured Motorists, and UIM, Underinsured Motorists, are the additional coverages you can purchase to protect you should you be involved in an accident caused by one of these drivers. Uninsured Motorist (UM) coverage protects you when the responsible party who is legally liable for the accident doesn't carry auto liability insurance and they've injured you or damaged your automobile. Hit and run accidents are often paid under this coverage. Nearly all states have laws that require automobile owners to purchase a minimum amount of insurance. Unfortunately, these limits are often too low to cover all of the costs that may add up in an accident. Underinsured Motorist (UIM) coverage provides you protection in an accident if the responsible party injures you or damages your automobile but doesn't have enough insurance coverage to fully pay your medical bills or repair your car. 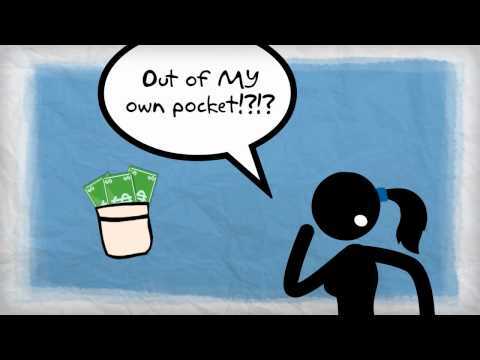 Watch our video to learn how deductibles work and what to consider when picking one for your policy. How can I save money on my auto insurance for my teenage driver? Teenage drivers are typically very expensive to insure because they lack driving experience. One way parents can save money on their auto insurance is through the teenSMART® Driver Safety Program. Created by behavioral and instructional science experts, the teenSMART program is designed to reduce your teenage driver's chances of being involved in an accident. Watch our video to learn more about the program and its effectiveness, as well as some additional ways you can reduce the cost of insuring your teenage driver. How do I prepare my car for a road trip? Check under the hood to make sure all fluids are topped off and all belts are working properly. Look over the outside of the car to make sure the wiper blades are in good condition, tires are fully inflated, and tire tread isn't worn. Pack an emergency kit that includes items such as water, non-perishable food, a blanket, a flashlight and jumper cables. 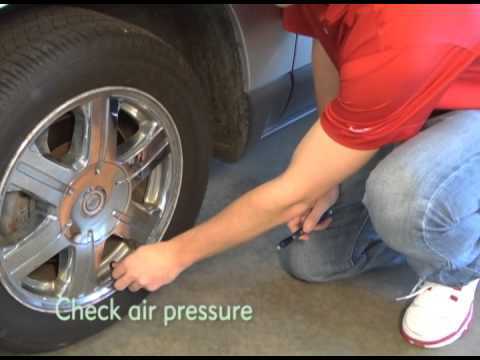 Watch our video for an extensive checklist for your car's maintenance, as well as a full list of items to include in your emergency kit. How do I file a car accident claim? 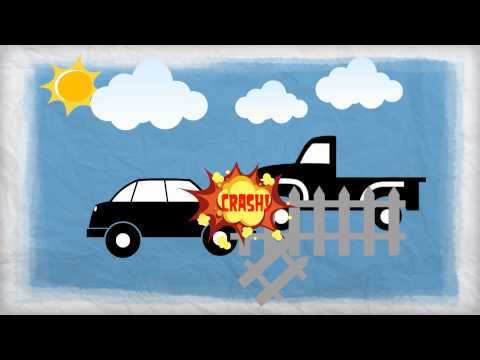 An auto accident is just that - an accident. Be prepared to handle the stress of this unfortunate situation by knowing how to file your insurance claim. Most importantly, stay calm. Contact the police immediately and be sure to tell them if medical help is needed. If no one is injured, move your vehicle to safety and contact your insurance agent right away; they will advise you of what information is needed to handle your claim. Watch our video for some helpful tips on how to begin the claims process. Safe travels!